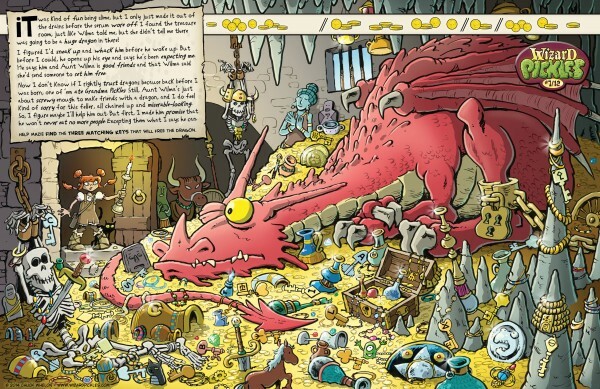 It’s for kids, so if you have one (or have ever been one) then I made this book for you. It is highly edjumacational. Aunt Wilma’s lost her magic wand! 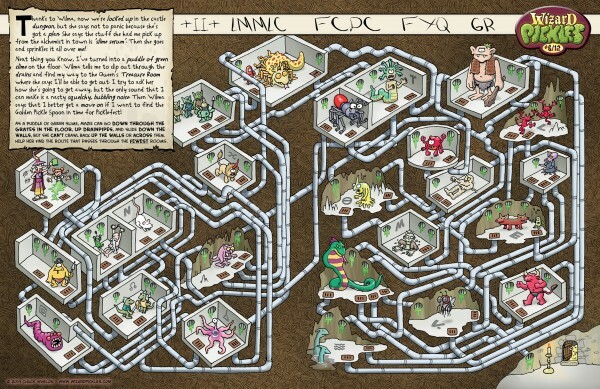 Now it’s up YOU to help young Mazie Pickles track it down, before the pesky critters who stole it cause any more mischief! 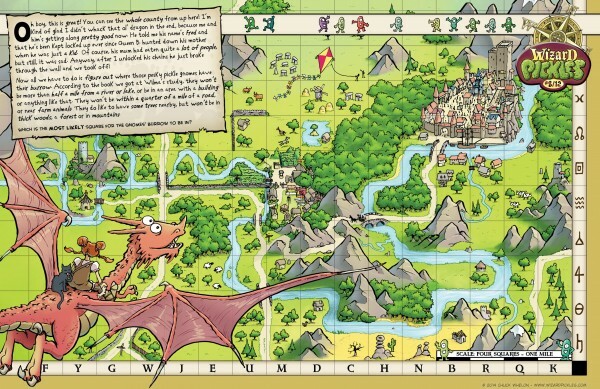 On your quest, you’ll travel through a mysterious forest, visit a castle, escape a dungeon, and even ride a dragon. 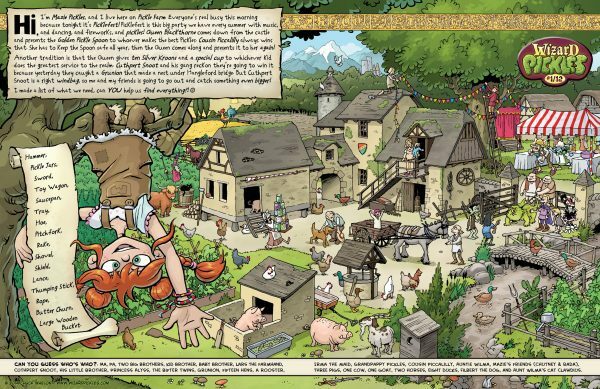 Yes, you’ll get into all kinds of crazy pickles as you explore every inch of this richly-detailed, comic fantasy world. 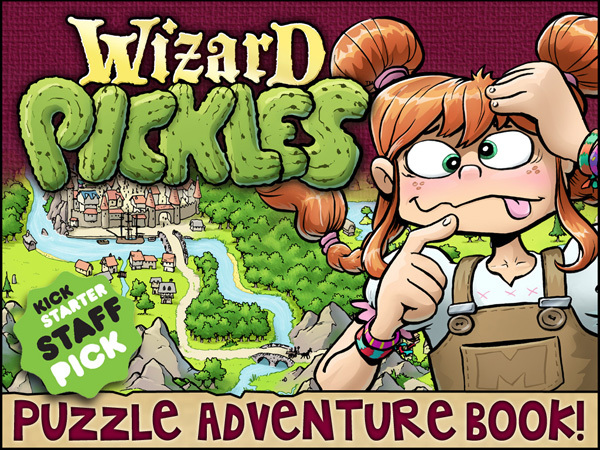 Wizard Pickles contains a multitude of perplexing problems for all ages, from simple search and find activities to muddling mazes, cryptic codes, and complex logic problems that will keep you baffled for many hours of puzzling fun!! !